The Crystal Moon Paperweights are a beautiful, yet understated gift with a practical application. 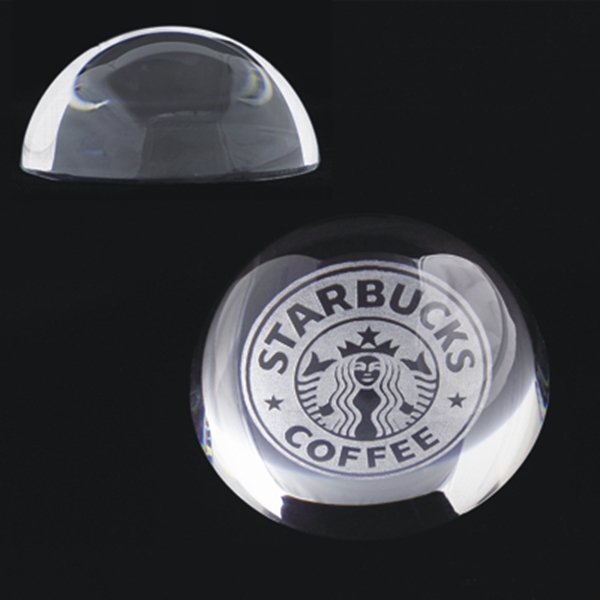 With ample room on the bottom for laser engraving, these Paperweights will magnify corporate logos and text for added appeal. Laser engraving reveals a frosty white color providing excellent contrast.